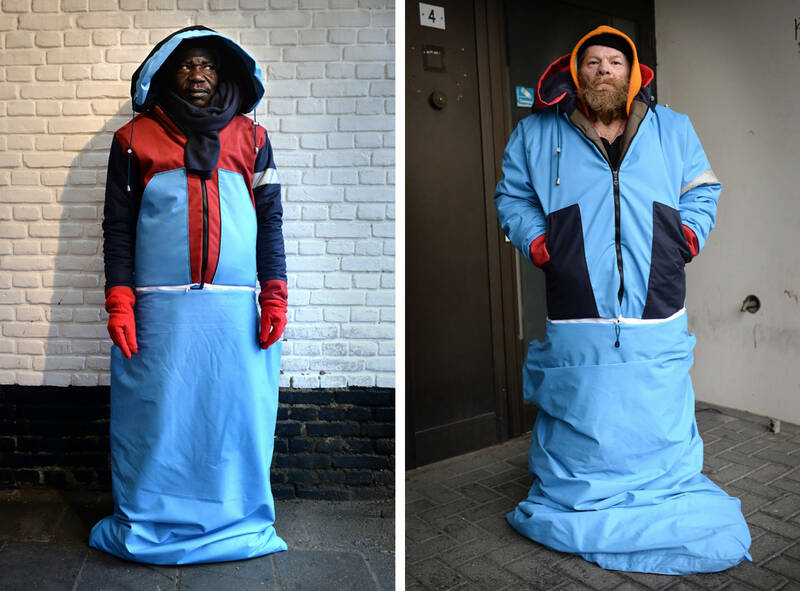 This winter, fashion designer Bas Timmer from Enschede, together with friends and sponsors, stands up for the interests of the homeless in the Netherlands. 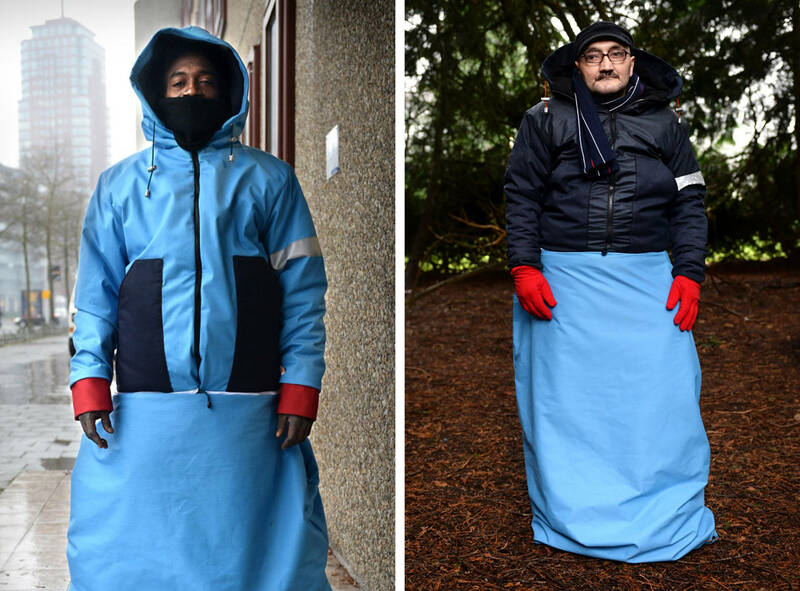 He designed a coat, the Sheltersuit, one hundred of which will be divided nationwide among people who have no choice but to sleep on the streets. With the establishment of the Foundation Hibernate, the 24-year-old has launched an initiative to produce warm, water-repellent and weatherproof coats for people without a fixed place of residence or abode. 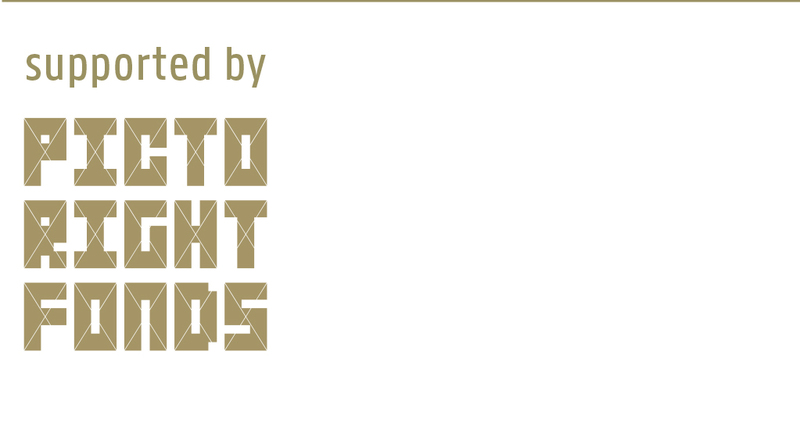 The Sheltersuits are made of a breathable fabric, yet they are fully windproof and water-repellent. 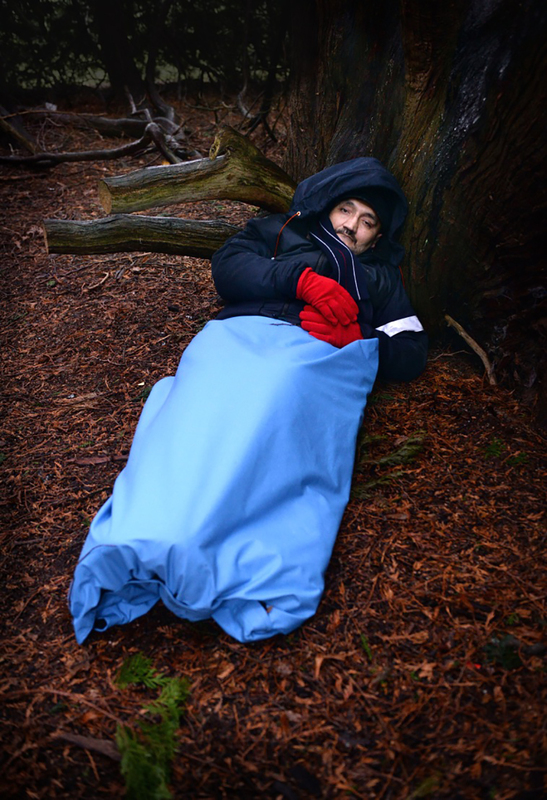 The zipper around the hem of the coat makes it possible to attach the accompanying water-repellent sleeping bag to the coat.